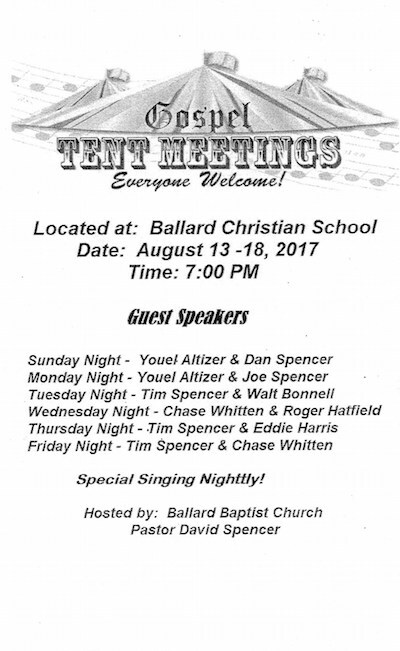 The Ballard Baptist Church is hosting a Gospel Tent Meeting August 13-18 at the Ballard Christian School in Ballard, WV. The meeting will start at 7 PM each night. The Ballard Christian School is located at 1441 Adair Ridge Road in Ballard, WV.